Egypt's president is appointing a military officer to lead the country's transportation ministry, less than two weeks after its minister resigned over a deadly February train crash in Cairo that killed 25 people. The general turned president, Abdel-Fattah el-Sissi, said on Sunday that Maj. Gen. Kamal el-Waziri, who heads the military's engineering authority, is awaiting approval from parliament to replace Hisham Arafat as transportation minister. Eleven people have been arrested over the deadly accident which was triggered by a brawl between two drivers. 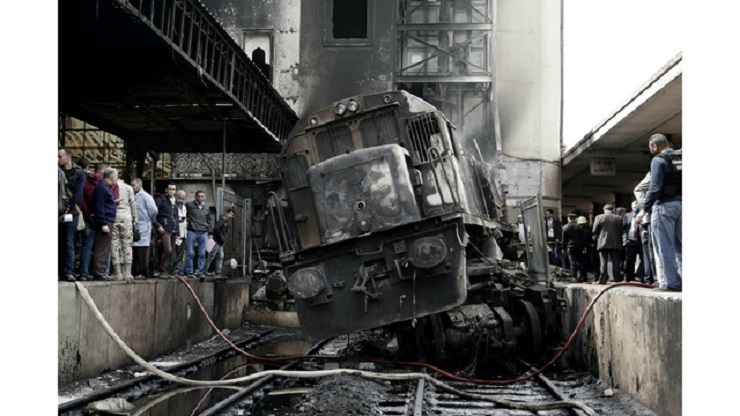 Egypt's run-down railway system is badly in need of overhaul after a series of deadly crashes in recent years. It has a history of badly maintained equipment and poor management. Most recent publicized official figures show that 1,793 train accidents took place in 2017 across the country.